Whether you are tying the knot or merely attending a wedding in Thailand, there are plenty of stunning hair fascinators, clips and hairbands to spice up your usual ‘do. Wedding photos last a lifetime, so it’s important (particularly for ladies) that your hair looks its best on the big day, whether it’s your own special moment, or you are a guest at someone else's union. Co-ordinating your hair accessories with both your hair style and your outfit can often prove to be a tricky challenge, which is why it's a good idea to look for some inspiration and advice on some of the best accessories to make your hairdo shine. Below is a review of the best hair bands, clips, pins and clips to work with, whether you choose an elaborate up-do or a more simple loose styles. Flowers offer a sweet, yet simple way to add both colour and a fragrance to you wedding day ensemble. What is more, there are plenty of types you can choose from, which means it’s easy to find a bright colour and a striking bloom to co-ordinate with your outfit. The traditional choice, of course, would be to affix a fresh rose to your hair. However, if you’re in Thailand, you might want to make the most of the Kingdom’s spectacular choice of flowers by choosing something a bit more tropical like orchids, frangipani or even a lotus flower. Back in the early 19th century, hair pins and combs were a practical necessity for women with luscious long locks who needed to secure them for the day and pins and combs soon served the double purpose of being decorative at the same time. 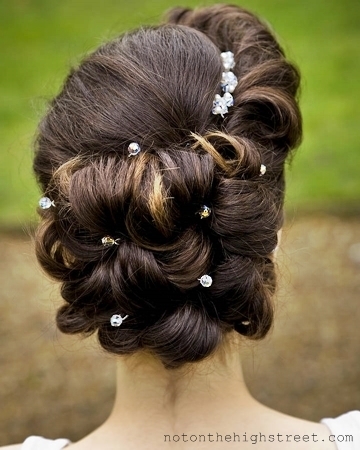 To pull off a Downton-inspired up-do, decorative pins of pearl or even diamante are a great option. Pins are also a good choice for younger bridesmaids who are likely to find larger hair clips and accessories uncomfortable. The best thing about hair bands is that they can be worn to any occasion – formal or casual – and always look great. They can also be worn no matter how long or short your hair is, and you can rely on them to spice up a low maintenance hair style should you be leaving your hair down on the big day. 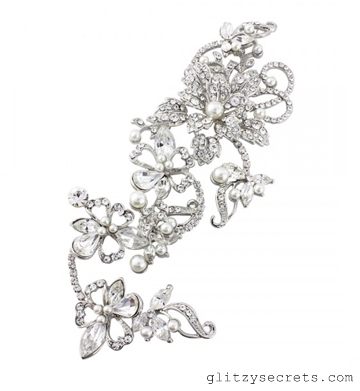 Crystal, pearl or diamante headbands are certainly on the formal side, and should be co-ordinated with any other jewellery that you are wearing. Also, selecting a hairband that sits low on your forehead as opposed to pushing your hair back off your face (which isn’t a bad idea in the tropical heat) will help you pull off that beach boho look. 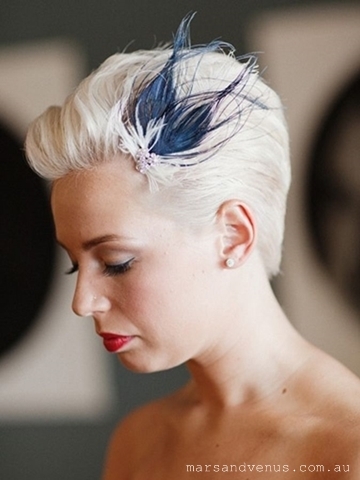 For many wedding guests, fascinators are the staple choice when it does to wedding day hair accessories. However, selecting the right fascinator is something of an art and the range of colours, styles and netting can be overwhelming. When it comes to fascinators, it all depends on your hair style and outfit, and the most common mistake people make when choosing a fascinator is going too elaborate and selecting something overpowering. Sweet and simple fascinators, like the elegant Carrie Bradshaw-esque feather fascinator work wonderfully with a shorter hair style. 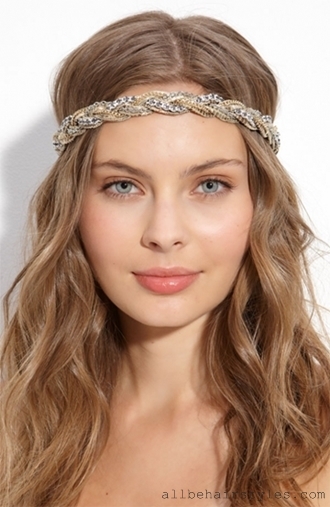 On her wedding day, elaborate hair pieces are often the best choice for the bride. After all, no one’s hair piece should outshine the woman in white. Vintage headpieces are all the rage now across the globe and couples can’t get enough of 1920s-inspired weddings. A fleur vine headpiece, comprised of crystals, faux ivory pearls and a trailing floral spray will have guests mesmerized. Remember, if you are going for an ornate hair piece, a simple hair style like a low chignon will set it off best.